Enter the Xtracold icebar in Amsterdam! 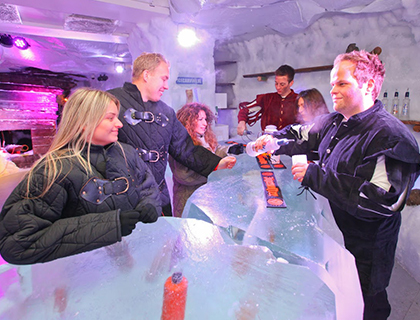 Enjoy skip-the-line admission to the Xtracold icebar in Amsterdam! Guests must redeem their voucher and pre-book a specific timeslot at least 24 hours before they wish to enter the attraction. Bookings are based on availability and so will only be valid after a timeslot has been booked. Please Note: Availability is in the hands of the attraction & can be amended at any time. What’s cooler than sipping in a drink in an icebar? If the glass is made of ice, of course! Well, you’re in luck. At the Xtracold bar in Amsterdam, that’s exactly what will happen. You’ll skip the line and be given a complimentary cocktail on entry, presented to you by an Eskimo. This lounge is a more conventional bar, where you can relax and drink your cocktail whilst enjoying great music. After you’re done, though, it’s time to pull on mittens and a thermal poncho before you enter the Icebar. 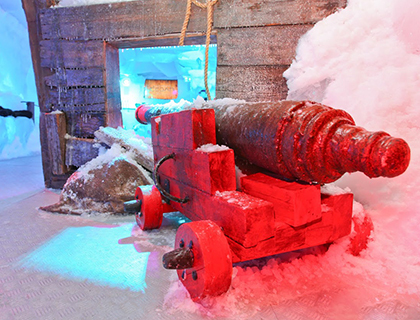 You’ll step into a glittering winter world—the bar is made with over 35 tons of ice! Using state-of-the-art lighting techniques, the bar shimmers with pinks, greens and blues. It’s like the Northern Lights trapped inside a bar! Your mittens will come in handy as you take your drink in a glass made of ice! At minus 10 degrees Celcius, Xtracold Icebar is definitely the coolest place to be. You’ll even be able to skip the line! You can now get an icebar ticket that includes a 24-hour hop-on hop-off bus ticket! See Amsterdam and then experience the icebar. IMPORTANT Guests must redeem their voucher and pre-book a specific timeslot at least 24 hours before they wish to enter the attraction. 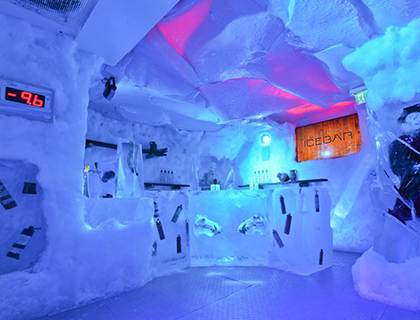 The icebar is open every day, but sometimes public holidays will disrupt opening times. 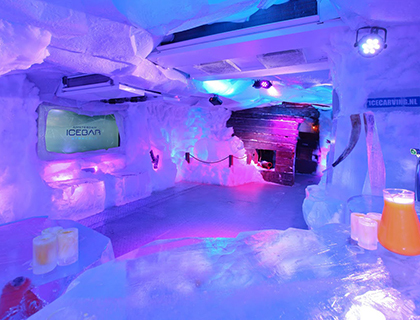 Though the icebar has no specific dress code, we would advise you to remember that it is very cold inside! Please print your e-ticket and exchange it for your admission ticket at the Lindbergh Tour & Travel Ticket Office (around a 20 minute walk from the Ice Bar). You can then choose your timeslot to enter the Ice Bar. 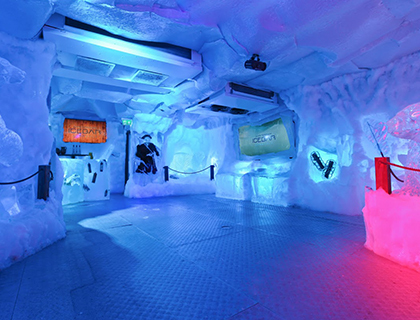 We recommend exchanging your voucher as early as possible, as the Icebar is extremely popular and timeslots are available on a first-come first-serve basis. Amsterdam Icebar - Skip the Line is rated 5.0 out of 5 by 1.